One of our best-selling West Ham United gifts of all time, this personalised dressing room photo is the ultimate must-have for any Hammers fan. Our unique design allows your selected name (max 12 characters) and number (2 digits, 1-99 only) to be merged onto the centre dressing room shirt, exactly matching those of the other West Ham United FC players. Each Print is presented in a stylish card presentation folder (30.6cm x 25.4cm) with West Ham United FC crest on the front. Recipients of all ages will love seeing their name on a shirt in the West Ham United dressing room, right next to those of their heroes. 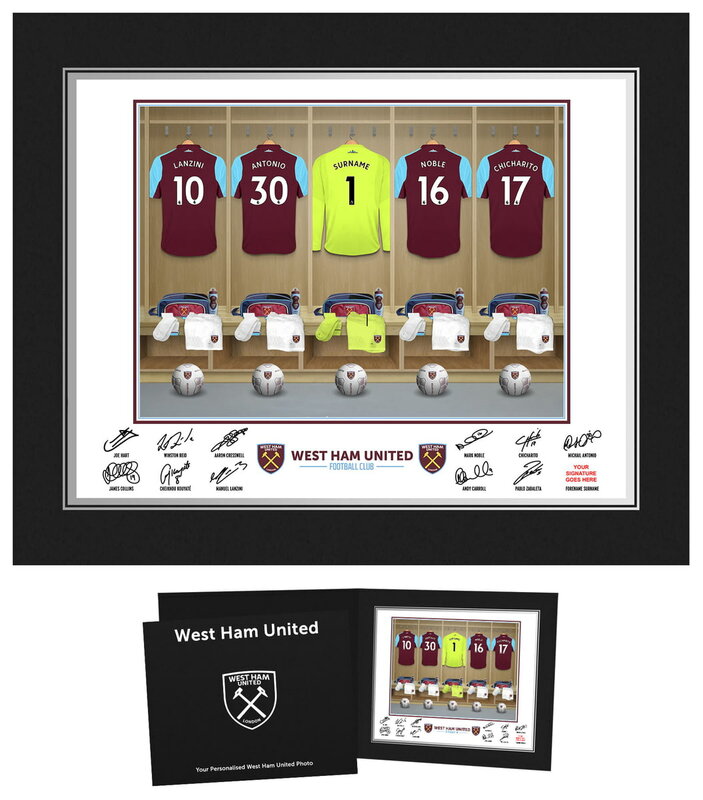 One of our best-selling West Ham United FC gifts of all time, this personalised dressing room photo is the ultimate must-have gift for any West Ham United FC fan.